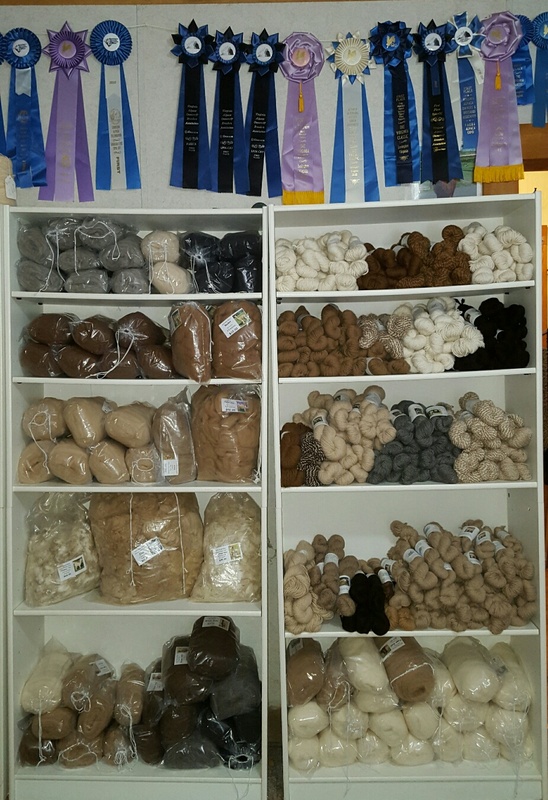 Our alpaca yarns and rovings from the 2015 shearing of our alpacas have just arrived!! 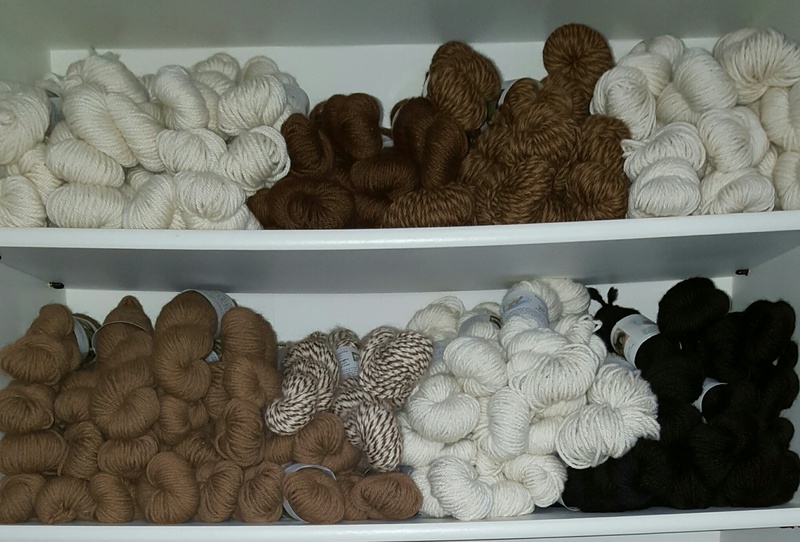 We have a great selection of yarns in white, gray, fawn, brown and black. 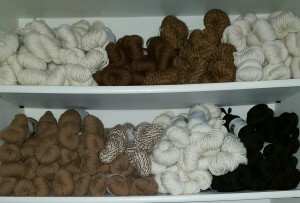 We also have a few ‘candy striped’ alpaca yarns in fawn and white, and two shades of brown. This year, many of our alpaca yarns are in the baby and royal baby alpaca range, meaning they are incredibly soft to the touch, and a real joy to work with. Our alpaca yarns and alpaca rovings are all natural, 100% alpaca. We don’t use any dyes in our alpacas’ fiber, and we include on the label the names and pictures of the alpacas who grew the fleece that goes into each yarn. You can see all these beautiful rovings and yarns from our alpacas online and in the store. 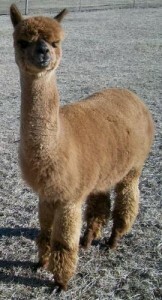 The process from alpaca to yarn is a big part of what we do at the farm, and we love to share it with people. You can learn more about the shearing and sorting processes, as well as take a virtual tour of the fiber mill where we process our yarns and rovings in some of our earlier posts from our webpage. 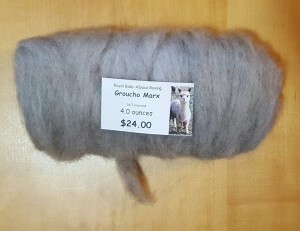 Alpaca Roving from Groucho Marx, 16.7 microns. Soft as a cloud. 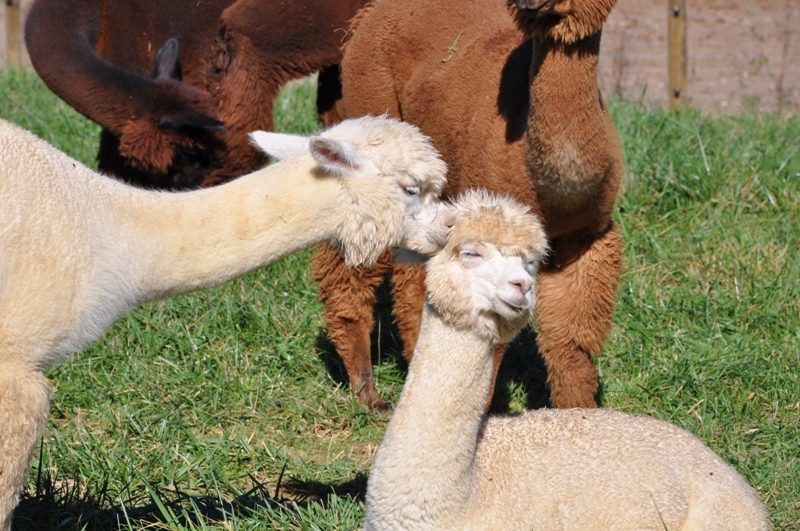 2015 was a year of a lot of alpaca movement for Peaceful Heart Alpacas. 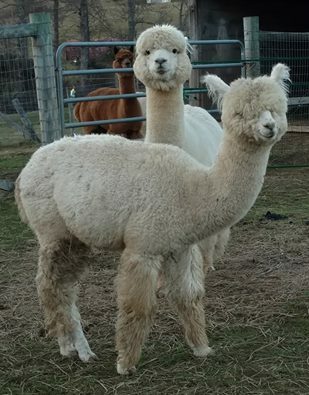 We started 2015 with 59 alpacas on the farm, our highest herd size ever. 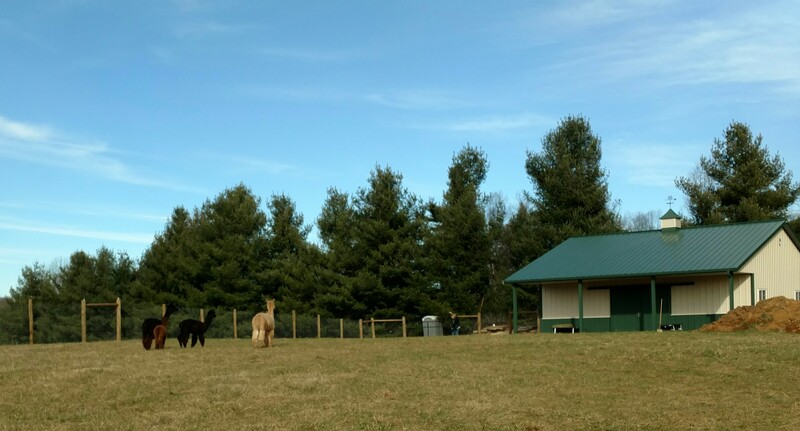 As we begin 2016, our herd is down to 25 alpacas. 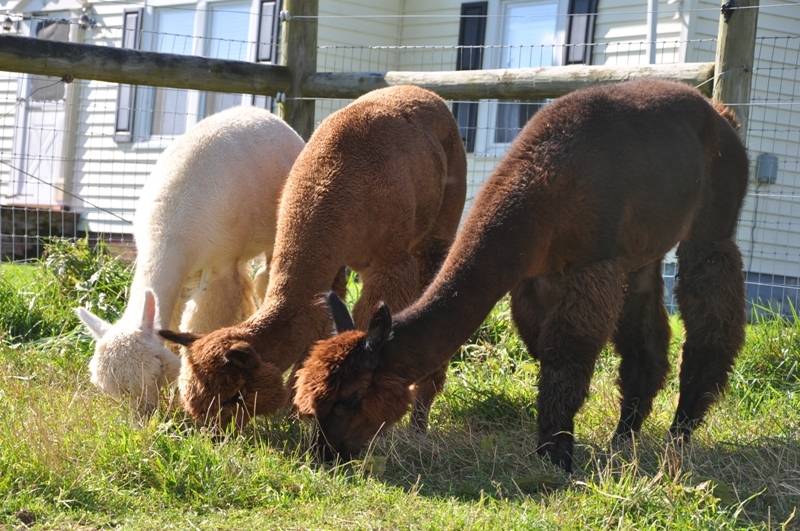 Many of our alpacas have moved onto their new farms within the past month, including some of our long term boarders. 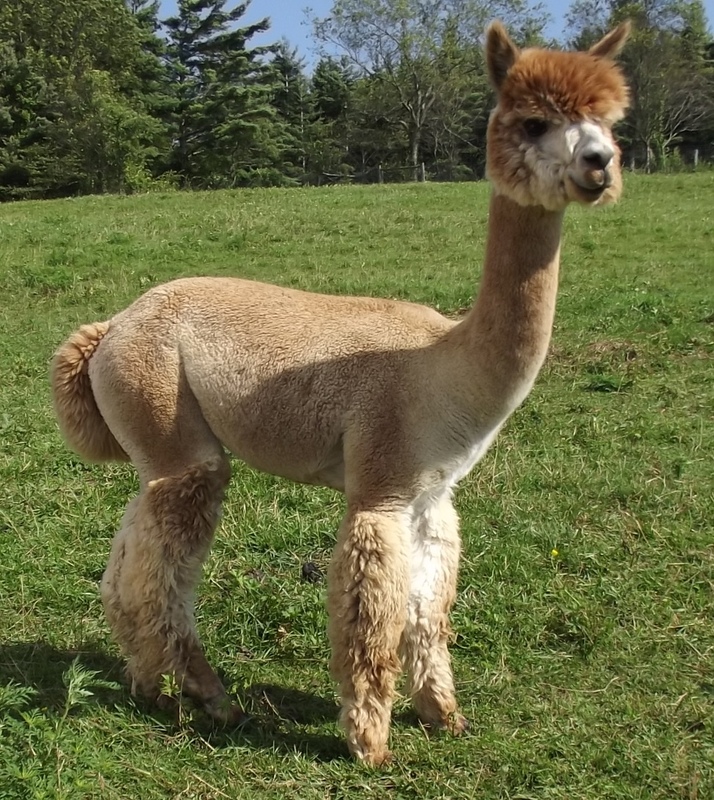 Four years ago, Sharon Wilson started her herd with two alpacas, Ashley and The Black Pearl. Since then her herd has grown to six alpacas. She is starting 2016 out with the move of her herd onto her own farm. Recently, several of the alpacas we sold during Alpaca Farm Days have moved to their new farms. During December, our lovely Bonnie Alice moved with the striking Shareen to join Snobelle, Lucky and Espressa at their new farm. Another new farm, Alpaca Latta Fun Farm, moved their three new alpacas, Hyppogryff, Sunspot and Sugar Cookie home before Christmas as well. Two of our sweet boys, J Dubs 40 and Hercules, also moved to their new farm. They will be the first alpacas on their farm. Another new farm brought home Gabriel & Joshua as soon as their fencing was done. They are enjoying having the boys join their two goats on their farm. This week we also had four girls move to their new farm in Alabama. Marquessa, Electric Snow, Ziva David and Natasha handled the ride to their new home well, and are enjoying getting to know their new farm mates. 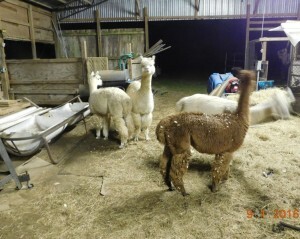 Our last group of alpacas was the earliest to move off the farm. 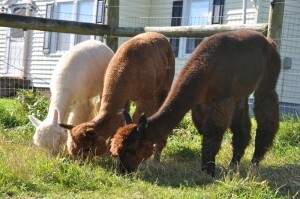 Henrietta Ruth, “Ruthie”, and Christmas Snow, “Chrissy”, joined Summer Love and Snickerdoodle Twist on their new farm. Snickerdoodle was particularly happy to see her little buddy Chrissy. We are happy to see all these alpacas settling into their new homes, and look forward to continuing to support their new owners. 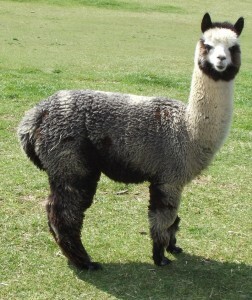 We are also looking forward to a number of new crias being born on our farm this year. Sign up to receive our email newsletter to be the first to learn of their births. 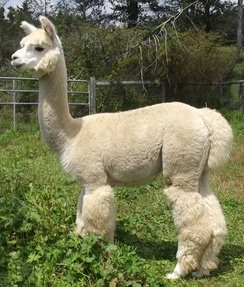 We expect the new crias to start arriving sometime in May, after shearing season. 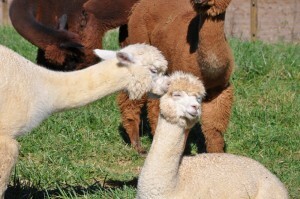 Peaceful Heart Alpacas * Milepost 204 on the Blue Ridge Parkway * 1563 Misty Trail, Fancy Gap VA 24328 * 276-728-4950 * info@peacefulheartalpacas.com ** Copyright © 2010 . All Rights Reserved.